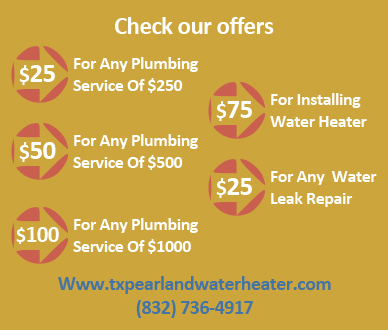 In Pearland, Texas, Harris, Fort Bend and Brazoria counties, we provide outstanding plumbing services for your drain repair. If your drains are clogged and you need a drain cleaner, call us to make the necessary arrangements such as sending our local plumbers to your home to make an assessment and the cleaning. Our staff in Pearland TX is conveniently located locally and won’t be driving across the city getting stuck in Houston traffic to come and help. 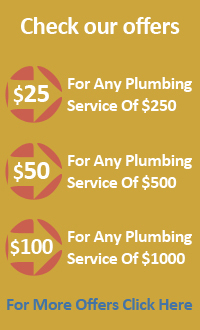 This benefits you by getting your services offered fast. Is a blocked drain preventing you from using your bathroom? Or is your toilet overflowing and creating an unsanitary situation in your home? In case this problem is caused by broken pipes, our staff in Pearland TX will easily do drain repair such as installing new pipelines. We have a 100% success rate in all plumbing jobs and guarantee that you will be satisfied with the quality of our work. If you have a family, you probably cook a lot at home since you can’t afford to eat out all the time. Efficient cooking depends on being able to use the sink to clean vegetables, dishes, and other ingredients. 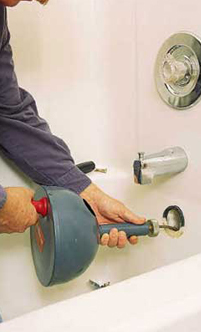 If you have a slow drain and your sink is filling up and overflowing, call our plumbers to unclog it for you. If your home tools aren’t able to unclog your drains, don’t hesitate to call us for drain repair because we have what it takes. A clogged drain can be a major inconvenience for you and your family, but our drain repair services can help. If it results in sewage backing up into your home or your backyard, this might be an environmental health issue. But we are skilled in draining blocked drainage systems using a combination of experience, equipment, and superior methods. We have amassed many years of experience that we use to help our customers. We have also invested in modern state-of-the-art tools. With this level of skills and resources we will provide you with services that are remarkable.